Extremely Urgent sale. This property was, on the market for 2.400.0002, it is again available for sale with a significant reduction in price because of immediate professional transfer. 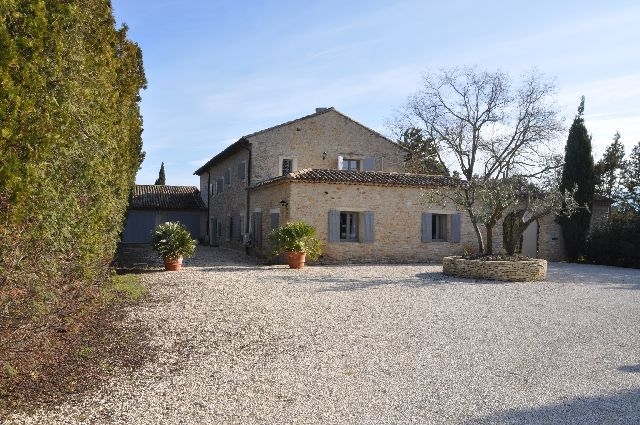 The property is situated 10 minutes away from Gorges and the Isle on the Sorgues and 20 minutes from the Avignon TGV train station. This lovely stone house has been entirely renovated with taste and talent using material of very high quality. It is implanted on 3 hectares of land of which 5000 m2 represent a beautiful landscaped park. Very large reception area, 5 bedrooms with bathrooms, big terraces and swimming pool with summer dining room, automatic sprinklers, alarm system, etc. This house full of charm could be either a main residence or secondary residence. Contact us for more details.